Talent Spotter #2. A selection of books for your enjoyment. – Welcome to the World of Suzanne Burke. Welcome to Talent Spotter. This is a site where promotion of Indie and small press authors is absolutely free. Details on how you can have your book featured here will be given at the end of this post. Vicky is a successful published author, but this is just a cover for her real job. A Detective Chief Inspector dealing with espionage and anti terrorism. You will find T K Geering on the following sites. Sera’s life quickly becomes surreal when she discovers she’s a princess from a realm so full of magical folk they give credence to every fairytale she’s read. The realm is in danger; a wicked warlock has kidnapped a princess, and it will take all seven princesses to save her. Transported to this celestial environment, Sera is immediately captivated by the elf, Keelor. It is love at first sight. He’s infuriating and aloof, but chemistry sizzles despite their attraction forbidden by law and lore. A gift was passed down from her grandmother. All her life Andrea Moore has been able to see spirits. Now, her grandma has passed on, but Andi still talks to her. When Deputy Vaughn Walker asks Andi to help solve the mystery of four women who have disappeared, Vaughn, Andi and her friend Nate are going to find those from the other side influence this life and some spirits are pure evil. They also find themselves in the middle of the epic battle of good versus evil. In this novel, author Daniel Bogogolela describes the lives and loves of a group of urban young adults in a typical South African township. Hawk and his friends explore friendship and relationships within the sub-culture, morality, social rules and dangers of township life. The story unfolds somewhat like a play, with incidents involving love, betrayal and even violence taking place as the scenes constantly change. The novel makes extensive use of township dialogue to give the book a certain feeling of authenticity, as the youngsters come to terms with township life. And here is one of my own works. Author S. Burke. This work will be available #FREE for the 1st and only Time on 28th/29th JULY. Grab a copy while you can. The sequel is coming. Purchase Here or grab it for free from 28th July for two days only..
Join in the promotion! It’s free. Interested? That’s great. Here is all you need to do. 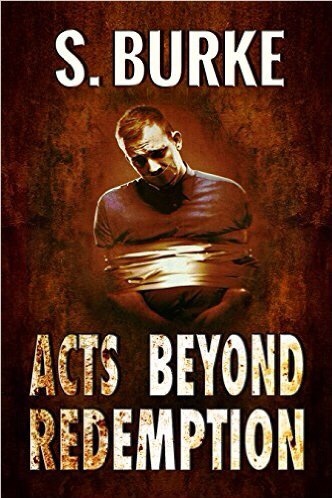 Send me an email at suzieb4burke@hotmail.com I need your book cover, book blurb and purchase links etc. Please be sure to have the words Talent Spotter in the subject line.